Vega Sicília Valbuena 5º Año 2014, 2014 Magnum, 2013 and 2012. Buy wine from D.O. Ribera del Duero. Red wine Gran Reserva. 42 months in French and American oak barrels and 18 months in bottle. Vega Sicília Valbuena 5º Año is an excellent red wine made by the legendary Vega Sicilia winery in the Ribera del Duero. Vega Sicilia is one of the most prestigious wineries worldwide, a modern day legend. Vega Sicília Valbuena 5º Año is a young wine, youth in a wine refers to aging which takes 3 and a half years in cask. It is a blend of Tempranillo and Merlot with a small percentage of Cabernet Sauvignon. The grapes come from the winery's farm in the town of Valbuena de Duero, in the province of Valladolid. There are 250 hectares of vineyards. Green pruning is done with the idea of forcing a low yield per hectare, obtaining a grape with concentration. Harvesting is done manually, a selection of clusters takes place at optimum ripeness in the vineyard. Fermentation takes place in stainless steel tanks for 15 days at a maximum temperature of 32 ° C. Once the alcoholic fermentation has occurred, the wine is transferred to cement tanks where the malolactic fermentation takes place. Vega Sicília Valbuena 5º Año is aged in American oak barrels. This begins in new barrels and barrels the wine is moved to increasingly used barrels to achieve a good balance between wine and wood. Once bottled, Vega Sicília Valbuena 5º Año rests for one year and a half before hitting the market. Vega Sicília Valbuena 5º Año is a wine from the Ribera del Duero which is very fine and elegant, with a great capacity for storing. After a predictable winter, the weather changed in spring. Temperatures were higher than normal, which caused an early start of the grapes’ ripening cycle. The normal course of the climate at the end of spring and at the beginning of the summer, allowed the vines to recover their usual pace, and the veraison took place on the expected dates. The beginning of the harvest was slightly early due to the strong heat the grapes suffered during their ripening. However, the nice weather throughout the harvest, without rain or frost, provided grapes with an impeccable health. Wines from the 2011 vintage have a slightly higher alcohol strength than usual, with a perfect balance thanks to their natural acidity, concentration of colour and phenolic richness. For all these reasons, this vintage has been classified as excellent, offering high-quality young wines, and wines with the ideal features for their ageing. Sight Intense, clean and bright ruby red colour. Nose Intense and complex nose full of nuances. Initially, the aromas provided during the ageing appear. 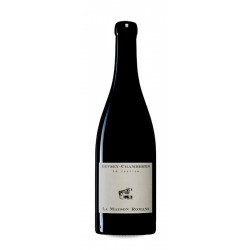 Little by little they give way to red and black fruit in its optimal ripening followed by all kind of nuances: balsamic, spicy, toasted, smoked and a wide range that will be noticed as the wine evolves in the glass. Taste An expressive, complex and balanced red wine with a very good structure. Long and very pleasant. A round wine from Ribera del Duero. Red wine Reserva Respectful agriculture. 22 months in French oak barrels. Volume: 75 cl. Winery: Emilio Moro. Production area: D.O. Ribera del Duero. Grapes used in this wine: Tinto Fino. Red wine Reserva. 14 months in French oak barrels. Volume: 75 cl. Winery: Finca Villacreces. Production area: D.O. Ribera del Duero. Grapes used in this wine: Tempranillo. Red wine Gran Reserva. 30 months in French oak barrels. Volume: 75 cl. Winery: Vizcarra. Production area: D.O. Ribera del Duero. Grapes used in this wine: Tinto Fino. Red wine Reserva. 26 months in French oak barrels. Volume: 75 cl. Winery: Pago de los Capellanes. Production area: D.O. Ribera del Duero. Grapes used in this wine: Tempranillo. Red wine Barrel. 24 months in French oak barrels. Volume: 75 cl. Winery: Pago de Carraovejas. Production area: D.O. Ribera del Duero. Grapes used in this wine: Tinto Fino. Vega Sicilia is one of those wines that everyone has heard of, but no one has tried. In fact, it is said that Vega Sicilia is nowadays a fantasy that has become a myth. Strangely enough, what gave made it popular at the beginning was the production of brandy and ratafia, as in 1876, in Philadelphia, the winery Lecanda attained the quality certificate for its superb brandy. In this same year, they managed to become the supplier of the Royal Household (Real Casa), and in 1880 they were awarded the Great Cross of Isabel the Catholic. All of this happened and the red Vega Sicilia had not even been born yet.